Kyle Larson will start 3rd. Larson’s sponsor is bringing in the jet and they’ll fly from Brooklyn, Michigan to Knoxville, Iowa. Seven people are coming from the NASCAR track to the dirt track. 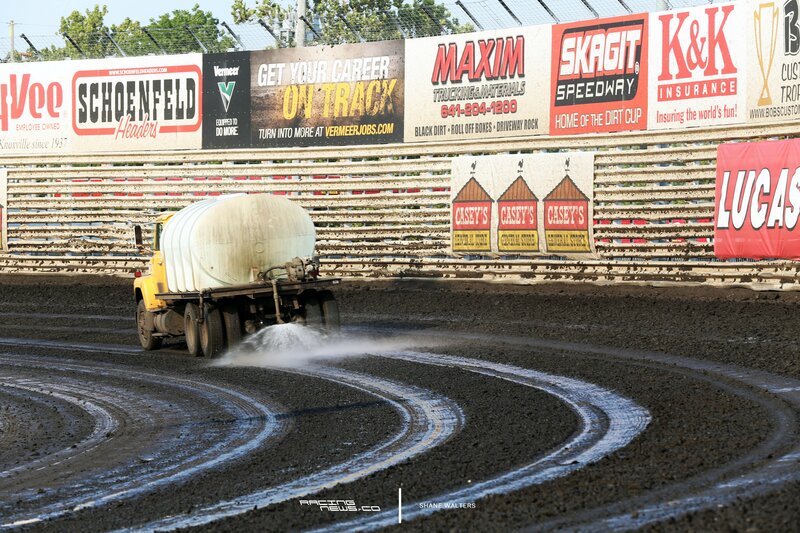 Who’s going to the Knoxville Nationals from MIS? Kyle Larson, Denny Hamlin, Kasey Kahne, Ricky Stenhouse Jr.
Kyle Larson is the only one of them that will run the race on the half-mile dirt track. Last year, Kyle Larson ran the same schedule. Larson returned from the dirt track in Knoxville, Iowa and took the win in the Monster Energy NASCAR Cup Series event the next day. Did you have to talk him into it again this year or did the win last year solve that? In 2017, Larson had to talk his NASCAR team owner into allowing him to run. Chip Ganassi only allows a certain number of dirt races for Larson each season. In addition, non of them are allowed Thursday-Sunday. However, Ganassi made one exception, the Knoxville Nationals. Steve Lauletta was the former president of Chip Ganassi Racing. In February 2018, he stepped down from the position and remained on the team as a consultant. How does the traveling work? Is Chip Ganassi going to Knoxville? Paul Silva is the general manager for Kyle Larson Racing. 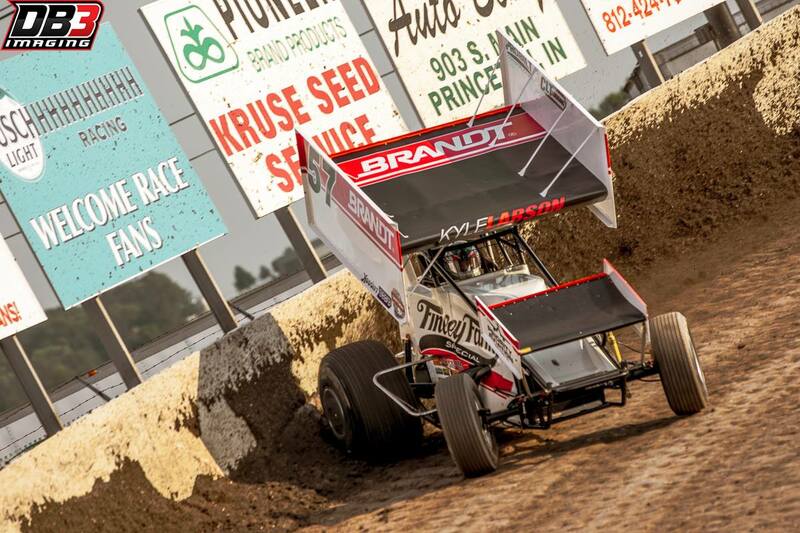 On Wednesday, Kyle Larson’s dad stated that the Knoxville Nationals is number one on the bucket list over any race. Do people understand that or does it still make waves? “Oh no,” Kyle Larson responds. “It makes plenty of waves still. I feel like I need to avoid this question before I make NASCAR or some of my fans mad,” Larson says with a laugh. Do you see NASCAR adding another dirt race? Kyle Larson starts 3rd in his sprint car tonight in Knoxville. On Sunday, he will start 17th at MIS.